Our special group rate is only $112 per night (available Friday, April 13, and Saturday, April 14) for a Single King Studio Suite or a Double Queen Studio Suite. You can book the special group rate by calling the hotel directly and referencing our race or by booking online through this specific link here... 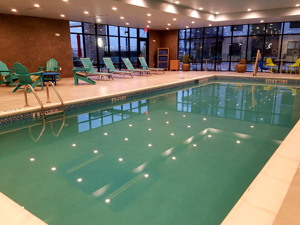 Note that all rooms must be booked by March 31 to get this discounted rate! OUR LOCATION FOR PACKET PICKUP! LATE CHECKOUT OF 2 PM FOR OUR RACE PARTCIPANTS ON SATURDAY, APRIL 14! 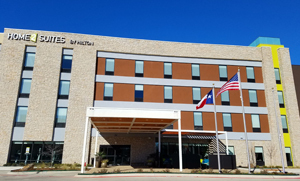 This brand new hotel opened in 2017. A car is not needed to get from the hotel to the race site (easy walking distance). There will be no shuttle service arranged, as we expect the vast majority of attendees to be locals or have rented a car for the trip from the airport. Allen, Texas is served by two area airports: Dallas-Love Field (DAL) is the smaller one where Southwest Airlines flies out of, and then all other airlines fly through Dallas-Fort Worth International Airport (DFW).